Cryptocurrencies are beginning to transition between market phases and have piqued much curiosity in the process from investors looking to forecast the overall trajectory of the asset class in the long term. This has led to a flurry of economic commentators postulating theories on the viability of cryptocurrencies going forward, but there has not been enough focus on what dictates the value of cryptocurrencies and the role blockchain technology plays in creating that value. Over the last two months, the market has shown encouraging signs of stabilisation. As the fundamentals of the different cryptocurrencies continue to develop, the wider public acknowledgement of the industry’s significant disruptive potential has followed suit. In response to the year’s corrective start, the direction of cryptocurrency prices are showing signs of a steady recovery. Given the youth of the market, there will continue to be fluctuations in price movements, but as the magnitude of these swings decrease and an overarching trend of growth emerges we are starting to see a recovery from the extremes of the bear market. For long-term investors, this is a positive signal. Today, the value in cryptocurrency markets will be found in coins that have utility. What this means is that the cryptocurrency in question, needs to be part of a system that has a real-world function in order to justify intrinsic value. It needs to be relevant and useful in the short to medium term. It is important to delineate a coin's core utility from coins that are backed by real world assets — a coin can have utility, which may be abstract, even if it is not directly correlated with a real-world asset. They just need to have a practical function. For example, a coin that is ushering in a new era of cloud storage built on a blockchain is called Filecoin. Unused digital storage space on computers can now be exchanged for the equivalent value in the cryptocurrency, challenging the common practice of massive, centralised data storage centres. The data of the world can now be stored all over the internet and replicated securely, so if any one part of the system fails or is damaged, there is no data loss. This stands to disrupt the very foundation on which we have been conditioned to assume is the only avenue to storing data. It imbues the process with immutability and significantly reduces the costs involved with storing information. Given the likely direction towards greater demand for data storage, not less, Filecoin is an example of a cryptocurrency that pertinent utility, which can create long-term value in an investment portfolio as its adoption increases. Another example of a cryptocurrency disrupting an established industry, is Australian company Power Ledger. The token is designed to allow people who generate and store their own power to trade their excess energy locally over the ethereum blockchain. Energy is bought and sold over the blockchain using the cryptocurrency Sparkz. Sparkz can then be traded over most cryptocurrency exchanges for other cryptocurrencies or national currencies. With Australians paying some of the highest prices for electricity in the world, this creates an advantageous environment conducive to increased adoption of self-powered homes using solar energy. Home batteries are rapidly improving, and Power Ledger is a logical next step in the modern grid - an automated, secure way to trade electricity between neighbours. This is one that stands to be spotlighted and attracts curiosity for investors moving forwards. It’s worth mentioning that, in comparison to other investment classes such as property, equities or bonds, cryptocurrencies appear uncorrelated in their market movements. As discussed, their fundamentals rely on the development of underlying technology and individual tokens, which is not directly associated with other Australian industries such as resources, property or agriculture. As such, investing in this asset class allows investors to diversify their portfolios and realise potentially larger returns. Investors will need to stay aware of impending regulation, which seems inevitable for the cryptocurrency industry as the asset class continues its positioning as a long-term asset class. By nature of a market’s nascence, regulation is often reactive, and it will take some time before a strong regulatory environment emerges. Cryptocurrencies are no different. New regulation has already been implemented in Australia, legitimising cryptocurrency trading, and now four of the country’s largest crypto exchanges have declared themselves compliant with AUSTRAC’s new governing standards. The swiftness of these exchanges to co-operate with the legislative changes signal a confidence that cryptocurrencies will continue to increase in popularity and eventually consolidate into an asset class of its own. Further regulation will likely manifest in stricter stipulation around Initial Coin Offering (ICO) creation and participation, mainly to protect retail investors. Although the ICO process has been attractive to start-ups as a means of bypassing a rigorous and highly regulated capital raising processes, the entrance of stricter regulation is an important part of creating a fair and resilient market, which legitimate supporters of the technology should welcome. At Anti Hero Capital, our position is that cryptocurrencies and the underlying technology driving them are not just here to stay, but here to take over, and the entrance of regulation will further solidify this. Given the recent market behaviour, now is an attractive time for investors to explore potentially investing in cryptocurrencies, but they should not approach this space reflexively and view it as a chance to make explosive returns. The market is maturing, and returns will be generated from tokens that actually create value for the people that use them. As it is with any legitimate asset class, diversifying your exposure to the space is essential and a managed fund is worth considering if you’re a new entrant. Anti Hero Capital diversifies across almost 30 coins at any given time, all of which are vetted using our thorough due diligence process. For more information on how we approach long-term cryptocurrency investment, visit our website or read our latest white paper. 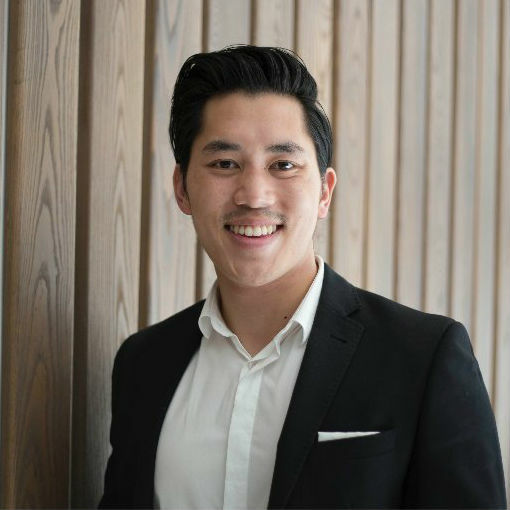 James Nguyen is co-founder and CEO at Anti Hero Capital.